A map of toads the town of Argyle has proposed to repair, image courtesy of the town of Argyle. 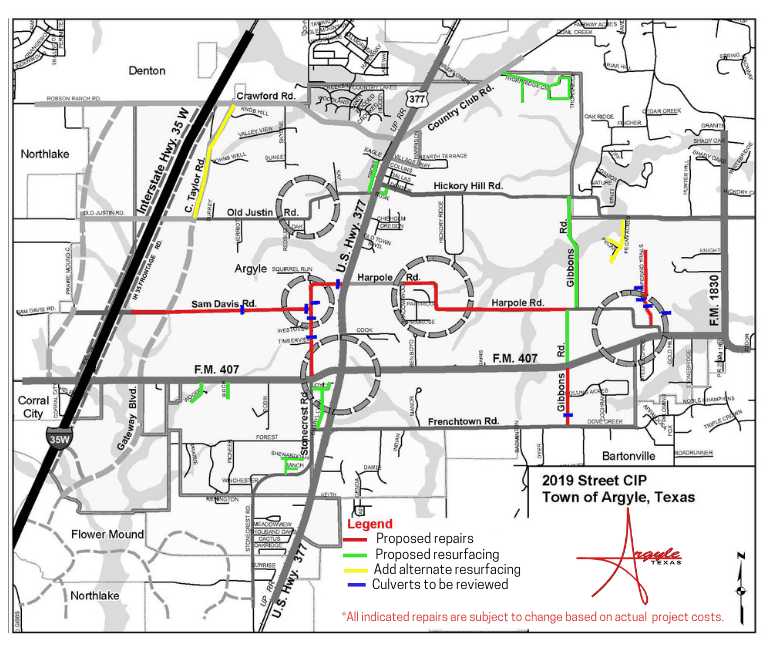 The town of Argyle will host a public meeting soon about its upcoming roads improvement project. In January, the town issued $2.75 million for a large-scale road improvement project to include microsurfacing approximately 5.6 miles of roads, repair/maintain 2.75 miles of roads with an asphalt overlay and reconstruct approximately 2 miles of roads throughout the town, according to the town website. The town will hold a public meeting on April 4 from 6-8 p.m. at Argyle Town Hall, 308 Denton St. East. The meeting is designed to be informational for residents and also for town staff to hear about residents’ concerns. The town plans to resurface, repair or reconstruct portions of Gibbons Road, C. Taylor Road, Sam David Road, Harpole Road and many other smaller streets. The microsurfacing project is scheduled to begin in May, and then the town plans to award contracts for the other repairs in the summer, with construction starting in the early fall. More more information, contact Public Works Director Troy Norton at tnorton@argyletx.com. 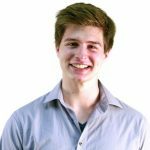 Mark Smith is the Digital Editor of The Cross Timbers Gazette.